In this study, the prediction issue of oil viscosity, on oil samples taken from Guneshli oil field of Azerbaijan has been viewed applying empirical correlations as Beggs-Robinson, Labedi, modified Kartoatmodjo, Elsharkawy and Alikhan, Al-Khafaji. The correlation models used in the evaluation of viscosity of Azerbaijan oil have been implemented in the Python software environment. The obtained values on empirical correlations have been compared to experimental data obtained from Guneshli oil field. The result of prediction has been evaluated using statistic functions as absolute average deviation (AAD), mean absolute error (MAE), correlation coefficient, root mean square error (RMSE). According to statistical analysis, it has been known that the Beggs-Robinson model has shown the lowest value on AAD (10.5614%), MAE (12.4427 %), RMSE (20.0853 %). The Labedi model has presented the worst result on every four criterions. Even though the Elsharkawy-Alikhan model has presented the highest result (99.9272%) on correlation coefficient, in the evaluation of viscosity of Azerbaijan crude oil, the Beggs-Robinson model can be considered more acceptable. Traffic signs, signals and road markings installed on the roads and highways need a lot of improvements in Pakistan. They do not fulfill the fundamental conditions as per international standards i.e. peculiar shapes, sizes and colors. Among all the reasons the most important being the lack of a proper Manual, outlining the warrants and other details essential for putting up proper signs. The problem is further being made worse by the lack of qualified traffic engineers, not fully familiar with the art and science of traffic signs. As a result, the field engineers and contractors were left to their own wishes with regard to design and installing of the road signs. Where as in developed countries there are many signs manufacturing firms who are specialized in this particular field. Many international organizations making efforts for the uniformity of markings and road signs in order to improve the safety of roads and to enhance international roads traffic, but in Pakistan not much significant work has been done and is still very much lagging in this industry. This study is aimed to investigate about the improvements that need to be done in traffic signs and markings, there installation and their maintenance. This will help to make the traffic flow more safe and efficient. The up short of all this study is to enhance the best possible safety of the road users by awaking and changing the aptitude and attitude of users towards the traffic control devices. 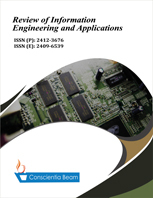 This study contributes in the existing literature by suggesting improvement measures for traffic control devices used on rural highways in most of developing countries in terms of its manufacturing, installation and maintenance and also the road users response that can be enhanced by taking these measures.